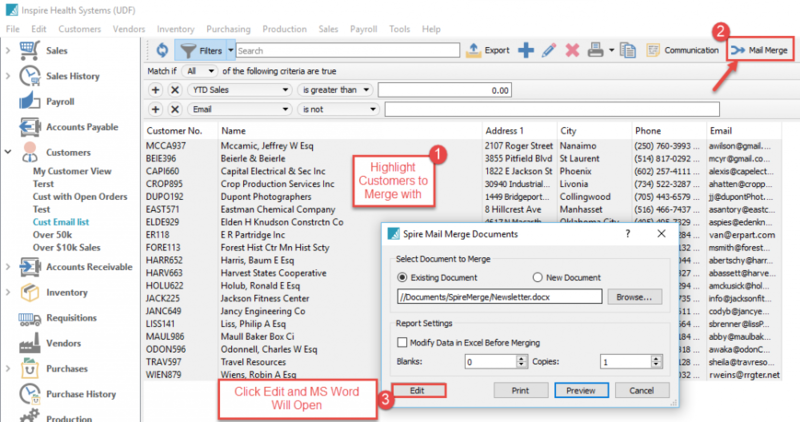 In Spire users can print or email merge the selected customers from within the customer list. To create a shorter list to send your merged document to you can create a filter for the customer list and then highlight the ones to merge with and click the merge button. Microsoft Word will then open and you can choose to create a new document or you can choose to edit an existing document. You will need to add the fields you would like to use for the data that should appear on the document by selecting “Insert Merge Fields” on the Word Mailings tab. Users can then ‘Preview’ the results to see who will receive the mailing and then click “Finish & Merge” when ready to send. 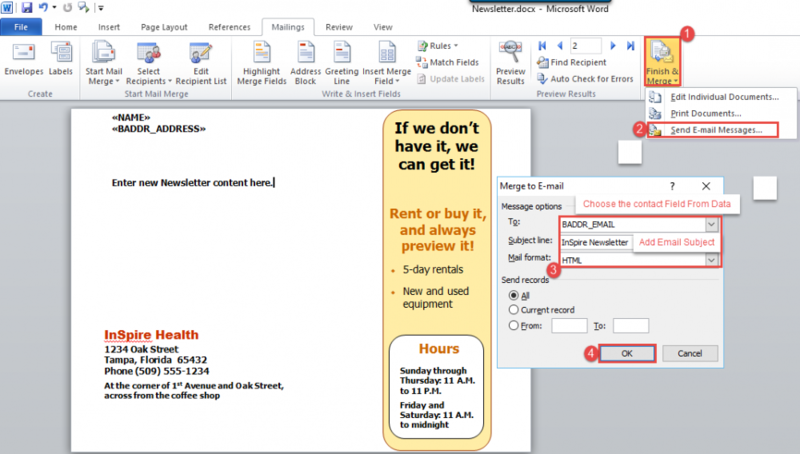 The merged document can be either printed or emailed. If being emailed, select the email address from the Spire customer database, add a subject and click ‘OK’. 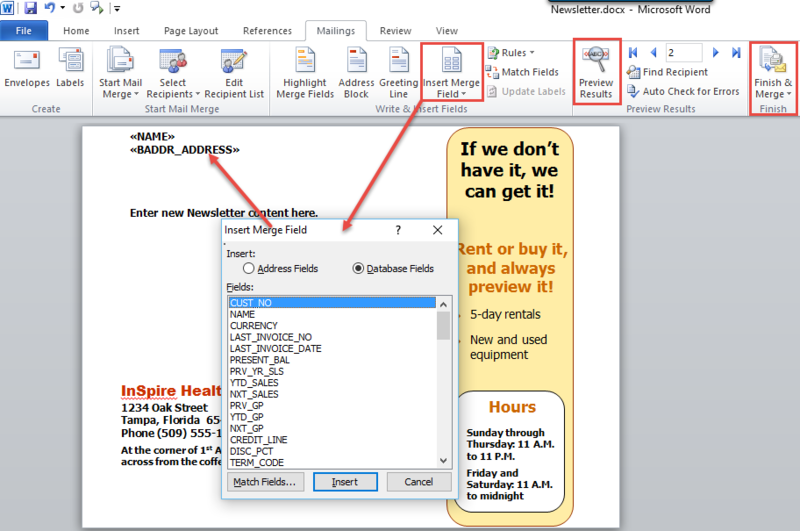 The user email will then merge the documents to the email address list, or if printed will merge print to the printer.